The Board of Directors of the Louis August Jonas Foundation recently announced its intention to sell the two properties in Dutchess County, New York, where Camp Rising Sun has been run for 85 years, and to move the operation of its program to another state, such as Pennsylvania. We, the undersigned, are Rising Sun campers and supporters from a wide range of seasons and nationalities. Some of us object to the sale of these historic properties, some merely object to the process by which the sale was decided, but all of us strongly urge the Board to reapproach the issue more deliberately and inclusively. Most alumni were not warned that such a drastic course of action was even on the table. Alumni were not given a real opportunity to influence the decision. However well-intentioned, a growing number of alumni believe this move by the Board runs the risk of alienating the alumni body, which has always been a central part of the CRS program. This is a petition to show the LAJF Board of Directors that many in the Rising Sun community have serious reservations about the announced plan to sell off the properties in Dutchess County. A large number of Rising Sun supporters around the world have expressed their concern that the decision to sell the properties has been taken in undue haste, that the expected price in today’s market is too low and will in any case yield little year-to-year financial benefit, and that other avenues exist to solve the financial challenges LAJF faces in the wake of the 2008 market crisis and escalating costs (e.g., fundraising, cost reduction). We applaud the cost reduction efforts already initiated. We want to do more. In a good-faith effort to expand the organization’s impact, the Board has in recent years authorized an unsustainably large percentage of spending from the Endowment. Much of this has gone to support an ever-larger percentage of overhead, which now stands at nearly 50% of annual expenditures. We believe such practice, however well-intended, lacks the good governance characteristics of fiduciary prudence and expense management needed by a charity that seeks our support. While not every signatory to this petition is flatly opposed to the sale of the original camp grounds under all circumstances, we do not believe that selling and moving right now is the right solution, especially given the loss of history and continuity it would entail. And we believe the Board should focus on preservation of the camp’s mission and organizational survival at this time. We, the undersigned, URGE the Board to reconsider these issues and refrain from putting the Dutchess County assets on the market. We request a slowing down and a full reevaluation with alumni participation in which all options are on the table, including cost reduction. We applaud the recent LAJF announcement to halt the sale, albeit for only six months. We call on the Board to affirm their intention to refrain from selling any CRS property until such time as a consensus is built among all the stakeholders. As concerned alumni and friends of Camp Rising Sun, we declare our interest and intention to be even more engaged in the next six months and afterwards in a process that develops a more enduring solution to the crisis – one that will be mutually acceptable to the alumni body and to LAJF. As concerned alumni and friends, we hereby pledge to actively participate in a dialogue on the future of Camp Rising Sun over the next six months. This dialogue will take place by email, telephone and through in-person forums at Camp and elsewhere. We call on the BOD to affirm their agreement that the ultimate decision on the future of CRS will emerge from this open community dialogue -- and not from closed-door sessions or preconceived notions of what should be done. We believe an atmosphere of trust and inclusion can and must be restored. [OPTIONAL] Until the LAJF BOD announces a true freeze in the asset sale process that would end only when the LAJF Board and the alumni agree to ONE go-forward plan, I withhold any and all donations of time, money, or planned estate gifts to LAJF, and I will defer from taking part in normal course Committee meetings or selection process. For myself, the physical location of Red Hook and 7-week duration of the program are essential to achieving the CRS mission goals. I would argue they are also what bind alumni together in shared experience across the years. I have tried to sign previously. It was a place and program that changed my perspective. It's where I first read Kafka, where I saw the movie The Corporation, and where I finally heard the story of life for Palestinians from a Palestinian. Maize, you changed my life. And the spaghetti eating contests were a bonus, too. I learned were what made CRS a life changing event for me and were what became my mantra in any leadership venue there after...surely the Board members breathed the same air as I did in Redhook and can make a table or council bench big enough for "all"
Today, February 17, 2015 is my birthday. I am 93 years old today and I strongly suppport the SaveCRS group. I would have signed sooner but I was sick recently. I am back home now and better. This Board is making a mistake and Freddie is turning in his grave. I have enormous respect for so many people associated with this camp and I have confidence that we can work out a solution to this if we can get some help. This may mean someone helping us with the health of our governance structures and a recommitment to the mission of LAJF. I am grateful for the work of all in the past and present and would like to help going forward. I think it is quite reasonable to reconsider the options put forth by the former B & G Director, JC Calderon and am grateful the sale of camp has been put on hold. in the CRS debate over the las month, although I meant to. I also have to admit that, as I was not one of the Alumni who progressed to highly paid distinction, I have not contributed financially to the camps survival. Those two factors mean that my qualifications to contribute to the 'debate' are weak. folksy and homely CRS we knew in Freddy's time, when Sundial was erratically produced by alumni and carried our own writings. to "leadership training". In my view Freddy's adoption of the phrase"experiment in international living" was closer to what the camp was all about. Not leadership per se, but responsible and moral leadership and collaboration. I have also become depressed by the relentless solicitation for funds and the way Sundial has become a marketting tool. experiences of our young lives into a sustained pitch for contributions. It is better manners to ask once, politely. I wonder also about the 2014 camp - what did they think they were doing in "construction" if any legacy contributions will be lost. what the Ki Boan looks like now or how much of the physical legacy of the camp could be preserved. We dont get the "alumnus edition" of Rising Sun anymore, written by campers. Estate agents always tell us its about "Location, Location, Location", CRS probably is a location but in Poland I saw that it could be mobile and move about. I couldn't get to Hungary on 2014 - I now really wish I had, I'd feel better in touch with the current spirit. I do know that I felt more comfortable with CRS before it became so corporate and business-model driven. I don't know which side of the debate is 'right'. schisms. I have seen this sort of thing happen over and over again and it is totally distressing for those involved. It usually occurs when one group claims ownership of a part of or the whole of the group, alienating others and internal feuding breaks out. I have the feeling that this is happening here and the end result will be the opposite to that desired by the current management. Alumni will be 'lost'. the alumni are carried forward with necessary reforms - perhaps a reduction in the funds allocated to fund-raising might be a start. listening to Freddy again, carefully. I did not hear his softly modulated tone in Poland, and I cannot hear it know. I do not in any way doubt the good intentions of the current Camp and Foundation administration; I hope I have shown this by increasing my financial support during this difficult time. But for me, perhaps for most alumni, the idea of Camp is inseparable from the place where we experienced it. We all want the idea of Camp to have a future, to change the lives of new generations of campers. Keeping connected to the past of Camp, including the sites which we love, is critical to creating that future. The memories of camp and the essence that is camp is worth preserving for future campers to come. I think we need to re-evaluate this situation and as a community come up with a feasible solution, before discarding decades of tradition & life long experiences. More importantly, these camp sites represents the foundation of that is CRS, leadership, friendship and core values that has and continues to be spread throughout the world via the alumnus of CRS. The roots that ground CRS have not withered, but are digging deeper for more nourishment and we as a community , must try our hardest to preserve this tree, which has given us so much and still has more to offer. The "leadership" camp has come into question. I do not feel that strongly the loss of the spirit of CRS without a camp in Red Hook or Clinton as my first year was in Stendis (which we all know had a very tight budget by the way) and was an AWESOME and UNBEATABLE season, but I do agree with most of the demands and believe it is possible to do things in a better way (with all my respect to the actual managers/boards/directors). Go on in a professional way. Not by payed outside aids/consultants. My previous lengthy statements are in your files. Please keep Camp where it is. Name: Joseph G. Nemeth, Jr. In my opinion, we are truly at a crossroads and the input of all alums is needed to provide a sensible direction. Freddie would want this. I was a selector for CRS for many years and this camp offered people from Ireland an opportunity beyond the confines of this country to build bridges. This was amazing and is something that is just irreplaceable. Selling or off loading any assets at this economic time makes no financial sense. There are other ways in which money can be raised through lease arrangements, other use out of season etc. The asset that is the legacy of all these years of campers will be destroyed forever, don't do this. I'm signing both the Petition and the Declaration to support the Mission. But unfortunately that is all I can do because of illness. My thanks to all our correspondents. I believe it is a mistake to sell the property, which holds so much tradition and beauty. I also believe that part of what makes this camp experience so amazing is to be surrounded by amazing, inspiring people for a FULL summer. The impact of camp would be lessened by cutting that time in half. It would no longer be Camp Rising Sun. This was the best experience of my life, and it would be heartbreaking if future generations can't experience what I did. As a host family member, I fear that moving the camp farther away than its current location would make day visits impractical or even impossible. In addition to the full disclosure of LAJF budgets from 1990 (or before) to the present,the rules governing the foundation since then should be fully available to alums and other interested persons. Richard Enemark's recently commented about the difficulty of achieving unanimity among thousands of alums. Is this to say that the board's decisions must be unanimous? Is it to suggest that the board members have committed themselves to confidentiality regarding their discussions, votes and personal opinions? My affection for Camp Rising Sun has always been partly tied to the place where I came to know it and love it. So I find it strange to think we can just uproot those feelings and decide they're of no account. I am fully behind the letter written by Ambassador Ulric Haynes, and find it disrespectful, it not to say rude, of the Board not to be providing answers to these questions. If we, as a People, demand transparency from a Government, we should certainly be allowed to require such from the special place we all know CRS to stand for! Show us the best of CRS spirit. Make new friends not new enemies. However, the most recent round of fundraising emails are completely inconsistent (perhaps even intentionally so) with the other concerned messages coming from alumni and board alike. So I sign for more transparency and open communication. I've been watching with dismay and disappointment as suggestions have surfaced that the best way to save CRS is, to paraphrase an analogous proposal made of a village in the Vietnam war, to destroy it, and to reincarnate it in another state. Certainly part of what makes CRS the unique Freddy creation that it is are the ethical principles that guide the daily lives of its campers. But another part, and equally important in my view, is the geographic and physiognomic structure of the terrain -- land, waters, buildings -- of the actual camp grounds, the "ancestral homeland", if you will. Do know that I stand with you for a more conservative, "let's not just burn all our bridges behind us" approach to the CRS financial pickle than the current board of (untrustworthy) trustees seems to wish to follow. I suggest we go to one camp original site 1/2 boys and 1/2 girls.And, we reduce camper numbers to what we can afford. The more I have considered this, the more strongly I have come to feel that the spirit of Red Hook is very much its history, and this will be lost and CRS will become far less meaningful if the property is sold. Having been both a camper and a counselor, I do no believe that a 4 week experience would accomplish the transformation that camp brings in its campers. Four weeks are not enough. I also believe that 60 campers in a camp are already a few too many. More than this would be detrimental to the quality of the program. More campers will dilute rather strengthen the experience. I have not been a regular financial donor to CRS, but this 'moment of crisis' has given me time and space to contemplate what camp has done for me and what I still owe to it (despite having given two summers as a counselor). I am planning on giving annually to CRS from here forward, but I would not feel motivated to give to a camp that I don't know and recognize. The affective tie just isn't there. I am willing to contribute annually to the camp that I know and have loved and that enriched my life so much. But not to some unknown camp with which I have no personal connection other than the name. I have been thinking about CRS and the LAJF in a serious way for several weeks and on many levels. I struggle with whether or not to sign this petition. I struggle with the idea that it is a petition and not a declaration. But there is not enough time to wordsmith and work towards perfection. I refuse to attach a pledge conditional on the petition being accepted or withhold my involvement on committees or my annual gifts. I am committed to this organization at all times as it has been committed to me at all times. I claim it as my own with its ups and downs. I will give to it what I can always. If we are asking to have more involvement, we can't ask that we only invest our time and our treasure only when all decisions go our way. I respect the members of the BOD and the intentions and dedication (of all resources) with which they work. I admire the thoughtful community that has gotten together here and I admire the dialogue and network that has continue to grow and strengthen among our alumni around this issue. I believe that alumni want and deserve a chance to come up with other cost-saving solutions. I believe that not considering the opinions and commitment of people who feel strongly about this issue will alienate them. Our alumni are our most valuable resource. Let's be open to alternative solutions. We have a special stewardship for this land, and for the CRS program. If we have fallen short, I know we can do better. Among us we have a great deal of wisdom, passion, and ability, all applicable to this cause. Please, lets work together with greater vision, renewed commitment, improved communication, to create and support a better way forward. I'm posting here because I strongly feel that co-location, and the sale of Red Hook, would both be serious mis-steps in our effort to carry forward Rising Sun. If this course was chosen in a period where alumni involvement seemed lacking, lets work to change the equation enough to make better solutions possible. I will not withold my time but offer to volunteer a great deal more of it especially during the months ahead as we need to work together to create better options for Rising Sun's future. I would like to get a much better overview of what the foundations expenses are. Meaning all other things excepts the campseasons. Thank you to those who have initiated this petition and are causing so many sachems to come together, pledge support and raise their voices for CRS. I’ve been very touched to read the comments below, recognise old friends and be reminded of the experience and wisdom that this community holds. Thank you to the Board of Directors, Members of all LAJF Committees and the LAJF Staff for the work that you are doing to keep the program running, including the funding that each of you have been contributing year after year. I trust your best intentions. Now, the dialogue sparked by the recent proposal to sell the camps shows that there are many more options to consider and that there is alumni resourcefulness to count on. As suggested previously, I believe that aside from financial measures, part of the work lies in taking a look at LAJF’s organizational culture and how it has been shaped in the past 20 years both by events outside and by leadership changes inside. What decisions have step-by-step turned into policies, values and finally the organizational culture by which LAJF operates? Which of these values and policies are hindering what we aim to create and secure in the future? From my experience, CRS is (thankfully) far from the only program offering life-changing experiences of community, leadership development and intercultural understanding to teenagers, much needed in today’s world. But it is unique in its form, vast bank of experience and history and I believe it is worthy of being continued in the format it has today. The impact of CRS has never been in the quantity (numbers of campers) but in the quality of the experience that makes such a powerful difference to each individual that it may last a lifetime. In the years that have followed since I was a camper, my donations have not been in money as much as in the action of loving and supporting the CRS program as a counselor at Clinton and Stendis and as Director at Stendis. Seeing from comments below that this option is now on the table, I hereby pledge to volunteer one summer as Director at Stendis and help set that program off to a new start. I think it is relieving for 14-16 year old girls to not have to be integrated with the boys their same age from my years as a wilderness guide for teenage girls. I have to admit that I haven't been paying attention, and I can blame no one but myself for that. And while this news has shocked me, it has also reconnected me to camp. Because I have such deep affection for camp, I have tried to keep in mind that Board members are all either fellow campers or friends of camp -- and I try to begin with the premise that they all have the best interests of camp at heart. Their experiences couldn't have been any less magical than mine. They must feel the same about Tent Hill and the Sawkill and the Council Ring as I do. Perhaps I'm being naïve, but I firmly believe I owe this to people who have contributed far more time and energy to the CRS cause than I have. So I won't say the decision to sell is misguided because I don't know that to be true. What I do know to be true is that the manner in which this decision was taken has split our family. I am not being metaphorical. Rising Sun is not merely a community -- we are a large, extended family. And any decision that splits that family is the wrong decision. And that is why I sign this petition. So I applaud the Board's decision to put the sale of the campuses on hold. And because I know they acted in good faith, like Chris Varrone I look forward to open dialogue to find a solution. I have no doubt that each decision made to date has been done for good and heartfelt reasons. The reality is that the physical tie across the generations of campers that exists in Rhinebeck is very hard to put a price-tag on. This is the latest financial test that the LAJF will see, but it will not be the last. We definitely need to fully understand and build consensus around our options with alumnae everywhere. Otherwise, the long-term financial impact of losing the "place" our alums call home could be devastating! There needs to be greater transparency and alumni input. Jeffrey Smith's letter is excellent. He makes a number of significant points such as the need for the board to be more transparent, the growth of the administration (how familiar: I am a retired professor who spoke out, in vain, about the constant increase in administrators at the same time as cuts in teaching positions), the failure to follow through on programs such as the one for an alumnus to sponsor a camper, and many others. After years of contributing without any sense of what was going on, I do not intend to contribute again. The administration must change. I am not well enough to participate in your struggle, but be assured that I agree with you and am sure that many others from the 40's do so also. Long exchanges of long emails usually frustrate me and to some extent that is true again with these emails back and forth about Camp and the recent (more correctly, recently revealed) decision of our administrators. One of the reasons I am less annoyed than usual is that I've read some excellent letters and have been reintroduced to old friends. In the last 24 hours, for example, I've read the letters from Rick Haynes and Seth Frank. I can add nothing to what they have said so well but I want to affirm that I agree with them. I wonder how many other faculty members (or retired faculty) have noted the similarity with actions taken by college and academic administrators who seem no longer (perhaps because they do not come from the ranks of the faculty or have been co-opted once in central administration) to understand the purpose of their institution. I spent more than 40 years in academia. Administrators became less and less willing to listen to the "people in the trenches," i.e. the faculty and the students. Now they act in the same way that the board and executive director are acting. I see little hope of getting rid of them, nor of finding the proper replacements. Name: Douglas J. Ammerman, M.D. It's almost 75 years since Freddie Jonas visited my home in Brooklyn, swept my parents off their feet, and invited me to participate in what has evolved into one of the most important series of events in a very full life, which still proceeds at full speed. I couldn't begin to elaborate on that statement without writing a book on the subject! If CRS, Red Hook, were to evaporate into thin air, a vital part of my life (and my daughter's, who is also a devoted alumna), and countless people who went to Camp as a result of my selecting them) would go with it. I've been back to Camp (it seems like) a hundred times since I was a camper. I'm still a Professor, trudging back and forth to Chicago a few times a week, with a no-pay tenured job, but, as I wrote in my first email, I'm willing to contribute what I can. My knowledge of finance is nil, but trust those of you who do understand the economics of CRS's survival to see that it continues its vital mission in the world. I have been associated with the LAJ Foundation for 33 years and have never seen a more dysfunctional group. As a former Board Member 1992-1997, it pains me to see that the Board continues to be self-serving and sanctimonious. I will contribute to the Foundation again when it stops spending beyond its means and starts being inclusive. The self-peppetuating Board answerable to no one must end. This is our last chance to "get the big idea right." I hope it happens. I fully support the request to hold putting the Dutchess County assets on the market until we can reevaluate with alumni participation. Hopefully, with the involvement of the whole community, and clear fundraising goals as to how much we need to raise to be sustainable, we can solve the financial issue without needing to sell Red Hook or Clinton. On the banks of the winding Sawkill, there's always a home for you... Let's keep the Sawkill. This is a serious situation, but I cannot help because of location, work, and age. I believe there are many was to use this land to your finacial benefit. So many new conscious farmers are looking for use of land, there may be a lucrative way to lease land during the off season of camp. If so, you would be able to offset the costs and keep the beautiful property. More than beauty is contained in that land. So many campers come from cities where there is a lack of wilderness. Part of the beauty of camp is the exposure to this special under appreciated part of the world. Please take that into consideration. I am prepared to contribute $100,000 when I see that the LAJF Board has taken sale of the Red Hook campsite permanently off the table, is planning for a boys camp 2015 full season at Red Hook and is implementing -- not merely talking about -- substantial structural and financial reforms. This is not a pledge -- which I never make -- but a statement of sincere intent. I am heartened by the number of signatories thus far to the Petition, the funds pledged by concerned alums and others and the outpouring of sentiment, which all can read for themselves, but which for me add up to a strong voice to keep the Red Hook and, if possible, the Clinton Campsite, while reducing the administrative expenses which have contributed heavily to -- if not having created -- the financial crisis now facing CRS/LAJF. e.g., investment income from the endowment and alum and other donations -- are added and the excessive administrative expenses are eliminated. It would not be surprising if, with careful management, a surplus -- rather than a deficit -- may be realized. So long as the Red Hook campsite is owned by LAJF -- which I hope will be forever -- it is penny wise and pound foolish not to have a caretaker to protect the property against fire, flood, theft or other untoward human or natural events. It may also negate the insurance on the property and expose LAJF to liability in case of accident there. It is imprudent for the Board to so expose the property and LAJF. The Board has not rescinded its unwise, callous and peremptory dismissal of Dan Atkins, but should do so forthwith. He has been loyal, devoted and effective, working unstintingly for years at a modest salary. If the Board is unable or unwilling to pay him, send me the bill and I will contribute the funds to do so. There is still time -- but not much -- to remedy this egregious situation before November 10th. If, in fact, the RH campsite is being properly looked after, it behooves the Board to so inform the CRS community. As of now -- like so much else -- there has been no disclosure. season. I chose a boys camp season at RH because I believe RH is more conducive to male campers than to female campers and the retention of, and operation at, RH would send a timely, important message to the corps of alums who date back over several decades with it and for whom it is an integral part of their CRS experience and whose financial support is vital to a sustainable LAJF/CRS. In an ideal world it might be possible to return to two camps, full season, simultaneously at some future time. If not by 2016, then a single gender full 7 week season could take place in 2016 of girls either at Clinton, if it is still owned and available, or at RH with some intervening modification. The alternate gender camp seasons could continue so long as funds are inadequate to operate two camps simultaneously, though that could -- and should -- be kept in mind as a desirable, ultimate goal. I also believe that relocation of the LAJF office to Dutchess County, as and when feasible, would not only provide a significant cost reduction, but would also provide benefit in attracting local and regional support for various initiatives, including possibly utilizing Clinton for corporate conferences or retreats or other events and functions of a local or regional nature, which would produce desirable revenue. CRS -- and for a substantial period LAJF also -- has been a longtime, loyal and deep rooted good citizen of Dutchess County. Bringing in additional rental revenue and employment to Dutchess County will, I believe, be appreciated in meaningful and tangible ways. The 85 year presence of CRS/LAJF in Dutchess County is also an important legacy of the institution itself, no more to be duplicated than the Old House, the catalpa tree, the Sawkill, the Council Ring and totem poles. In matters of heritage, one should proceed slowly and with care and respect. I believe that was part of Freddie's teaching and of the spirit of Camp Rising Sun. My giving record speaks for itself. The difference is: a pledge is legally binding and enforceable against the pledgor; a contemplation is not. If the conditions I laid down are met by the Board, I intend to come forward with my first contribution. If Nita Luis earmarks from her contribution for Clinton, the expressed concern is academic, as there should then be two camps at two sites for two full seasons in 2015. If my conditions are met, but Nita does not wish to earmark for Clinton, then I want alternate single gender seasons and I am prepared to support a boys camp full season at RH in 2015. I don't believe this puts the girls' program indefinitely on hold or treated as secondary, but I don't have the resources to support two camps and I was trying to prime the pump with the boys in 2015, as I believe that will stimulate more giving from the larger constituency. Should funds be generously forthcoming, hopefully the goal of two camps at two sites for two full seasons can be realized in the future. But a split season of 4 weeks each at a single campsite I believe is undesirable and fraught with risk from many standpoints and I will not support it. I trust this will respond to the expressed concerns and reassure all that there is nothing sexist in my proposal. This is indeed extremely generous, but our female alums would not be very happy about the conditions. Would you be open to a discussion about this? I think a generous donation of this size could keep open the RH camp for another year while we figure all this out. I would love to speak with you at your convenience. If Nita Luis will earmark her gift to operation of CRS Clinton in 2015 for a full 7 week season -- and if the democratic reforms and financial reductions are effectuated -- then two full season camps can be operated at the two campsites in 2015 and open discussion can proceed with a longer term view. This must take place, not with the open participation which the Board may believe it has provided, but with the open participation the CRS Community as a whole demands. I will not back down from my conditions that staff and salary reductions must occur, other expenses must be reduced -- e.g., Sundial, travel and conferences, outside consultants -- serious analysis must be made of relocation of the New York office to Dutchess County (where it was for many years) with Justin Brasch and David Rosen be invited to participate and give their professional input -- rehiring of Dan Atkins as Red Hook caretaker and reinstatement of J.C. Calderon as Chair and his resigned colleagues as members of the B & G Committee, imposition of a 1% limit on invasion of endowment, if unavoidable, and then with priority for capital restoration, renovation and improvement of plant and equipment, enlargement of the Board by invitation to those I've mentioned and others who may be interested and voting for Board members by the entire body of alums, email prompt communication of Board and Committee minutes and other structural and operational improvements as may be just, necessary and advisable -- all to be put on an immediate, fast track timetable -- with sale of Red Hook and/or Clinton campsites taken off the table, together with consideration or exploration of other, out of state campsites. An additional point which might be considered by the Finance and Investment Committee is whether LAJF might benefit from investment in low fee mutual funds -- e.g., S & P 500, Health, Technology -- such as Vanguard offers, if that would reduce investment advisory expense. There is nothing in my enumerated conditions which should make the female alums or any constituency unhappy. Quite the contrary, it's a win/win for all and a new day of sunshine which should encourage engagement, commitment and contribution from all alums in accordance with their resources. Pass the peace pipe around the Council Ring, unlit as befits good health and safety. The ball is in the Board's Court. Freddie was too good a tennis player not to know whether the ball that comes back is in or out. In response to your email below, Rick and my donations are for the continuation of the much loved CRS program and are not specific to our affection for any geographic location or length of season. Regrettably, we have concluded that even a $500,000 gift from us plus a $300,000 gift from you would not support two camp sites for more than one year, even with the stringent expense control that’s been implemented. We well understand that the financial realities are hard to accept emotionally. Rick’s ’61 project at Camp was cutting seating terraces for the “Old” Theater, now largely in disuse for safety reasons since the Sawkill cut away the banks supporting the back stage area during the winter storm of several years ago, which also washed out the bridge to the Council Ring (now replaced). That’s just one example of the deterioration we’ve observed, as we’ve visited both sites every year for the past 15+ years (except for the summer when Rick had cancer surgery). But it’s more important to us to see the happy faces and growth of Campers for many years to come. Rick and I deeply appreciate your great generosity over the years! We hope you will continue to support our Future. Please call me if you wish to discuss any misinformation you’ve been hearing. Thank you for caring so deeply and for all you continue to do! I would be happy to pledge a summer of my time as a volunteer counsellor in the next several years should the Board proceed with a process which helps ensure the Foundation is on a secure footing and campsites are preserved. And while I live on the other side of the world from the sites in Australia, I remain committed to doing all I can from a distance! I believe that every institution or individual has a unique identity which makes is stick out clearly among all others. Much as i also believe in "Change" care must be taken not to join the bandwagon just for the sake of it or by looking at other indices aside from the original. With the current globalisation and technology etc i believe that sanctuaries like CRS the way its been set up provide the much needed sanity. I was worried the moment we started with this "corporate" look at the turn of the century. At least after some years as ACD i have a fair idea of the financial figures. I know things were not so bad when we had our office in Market Street in Rhinebeck but suddenly with the use of LAJF( completely silencing Camp Rising Sun in discussions and masterials) Pennsylvania offices etc we had started down the road till the office on Madison Ave in New York! I stand to be corrected since i was not privy to all financial goings on. Maybe we could go back to the basics and trace our history and find out where we started veering off the "path". CRS is unique and so lets maintain its uniqueness and identity - boys who experienced who they are and what the other person is on the banks of the winding sawkill. If its property acreage maintenace, we could do something on part of the property or sell part of it. we could also look in to the possibility of the winter/spring program which may not be a full scholarship program. I may write again someday, but for now, i think we should not leave the banks of the winding sawkill or the fireside at the sacred Council ring.It only takes one who has experienced this that can understand this tradition. I feel strongly that we should still look to save the camps in Red Hook and Clinton Corners, and encourage the Board to look at all options and seek ways to utilize the recent upswing in alumni support, which has been sleeping for sometime. I have many thoughts to share, and I can't stop thinking of Freddie at this time. He devoted his life for us to have our CRS home in Red Hook. I only have 40 years of memories of my CRS family. My favorite, being on the front porch of the Old House talking with all who stopped by for a chat, and walking about the grounds seeing what we needed to work on for projects. We need to re-think the sale of the property! If you can't manage your budget here what makes it different in another state? Wasteful spending is wasteful spending. 18% administrative costs for a non-profit is outrageous and unnecessary. While I did not attend Camp Rising Sun as a camper, I have come to believe deeply in the core mission through my three summers spent on staff. I will continue to serve this organization as best I can so long as it prevails in a fashion that suitably shapes young leaders to become their best and truest selves. CRS is the legacy of a man who selflessly donated his life and his fortune for the betterment of others. What once was one man’s dream is now many peoples philanthropic play thing. The administrative running of camp at all levels become more and more entangled in the crossfire of rigid egos, errant ideas, and shallow showmanship. The idea that camp can be picked up and dropped down anywhere and still be “Camp” is a false notion: it implies that CRS is a franchise -- that it has a corporate business model which could be reproduced anywhere. While there may be a corporate structure that governs, the fact of the matter is that CRS is not a business dealing only in figures, but is a philanthropy that deals in hearts and minds. If it was a business, I’m sorry to say, it would have failed a long time ago. Those who are looking eagerly to the new dawn are failing to see what is causing the sun to set on the previous day. Mismanagement, administrative oversight, failure to truly understand what makes camp tick… this is not the time to cut our losses and go someplace else. The rehabilitation of the financial and physical resources of our camp must be paramount and we must slowly and conservatively work to fix it. If we aren’t in the position to engage in a multi-million dollar revamping, than how possibly can we engage in a multi-million dollar relocation of camp? Let’s work to fix the roof of Old House before we lock the door on it and turn our backs forever, so to speak. Let’s reimagine the potential with what we have rather than imagine the means to acquire what we don’t. I do not support the radical corporate decisions made behind closed doors to being about a new era and I suspect our organizations founder, Freddie, wouldn’t either. I hope I never have to look back at the Red Hook/ Clinton camps and think “That WAS a good place”. The "place" is an integral part of the CRS tradition that binds us together and I would like to see it preserved and even enhanced. It is unimaginable to me that, together, we cannot figure this out so that future Campers can love it like we did! There would not be such a ground swell of support from Alumni if this were not true! When this "crisis" in our history is resolved, CRS will be ready and viable for the next 85 years! ~100% of my relation to the camp is with the physical space I was in during my year there. While I'll always value the people I met there irrespective of CRS's location, It would be very sad if we had to move the camp. thanks for doing the work youre doing to keep CRS alive! I look forward to an open, honest dialogue between the Alumni and Friends of Rising Sun and the LAJF Board of Directors. Please take into account time zone differences which can make world wide simultaneous conferencing difficult. On the other hand email is an efficient vehicle for direct communication as is Facebook. There has to be a way to restore & maintain both properties. I urge the Board to consider all options. Thank you. I find it hard to believe that the only way out of the financial quagmire we are in is to sell the sites where camp has taken place for generations. It will be an extremely hard sell to expect alums to contribute financially when the places we hold so dearly in our hearts are gone and a real emotional connection is lost. Moving Rising Sun to "someplace" else just doesn't seem to be the right answer. I am worried that Rising Sun is currently in this dire need for money. I am worried and would like to know if the office in Manhattan is able to fundraise much higher amounts than we used to pull before we had a large fundraising team. I think selling camps really takes a away a large part of what camp is to hundreds of alumni and to the mission and home of Freddy Jonas. Loosing our old theatre, old house, ed hall, and all of our 'history' is really a BIG DEAL. It is hard to believe renovations cost 8 million, why can't we renovate over the course of 4-5 years so to alleviate costs and not have to pay a lump sum from our endowment? Can we pay for these renovations from the interest earned? Could we possible reduce the amount of permanent staff to cero for 5 years until we are financially better off and have alumni volunteer for all positions, including the CEO position. I would really like to see LAJF save money but not in the range of 10-15 percent, but save close to all expenses except the season itself. Rising Sun is very important for many of us and we should be trying harder to find solutions. We could start with a daylong internet forum so everyone can hear from the board and we can find some type of mid point where alums agree on the route LAJF has to take to secure continued survival of the program even if this means cutting staff, cutting costs, or even relocating. I am available for anything asked of me, and am ready to cooperate with alums and the board. The summer I spent at CRS Clinton significantly altered the course of my adolescence, and it continues to affect me as an adult. I recently took my step-daughters to an alumni weekend, and they were amazed. I want to preserve the hope I saw in their eyes that some day, perhaps they might be lucky enough to attend camp, too--the very same one I went to, on the very same ground. The CRS Clinton camp holds such priceless, magical significance. The air smells sweet. The buildings, the trails, the hills, and the fire circle are full of memories. I hope it lives on as place I can return to again and again. I am signing this petition because I am struggling to discern fact from opinion regarding issues that are important to me personally (e.g. the financial stability of LAJF and the sale of CRS properties) and would like more transparency and alumni engagement in CRS and LAJF with respect to these pressing issues. Having just returned from working in Afghanistan, I matters to me that CRS continues to be a light unto the world. With Freddie gone, we have no central figure and must rely instead on the spirit of CRS that lives within each of us who has been changed by Freddie’s vision and his efforts. What seems most clear to me today and is perhaps the biggest challenge to the staff and BoD of LAJF: there are many CRS alum, family and friends whose passion and talents are going untapped and/or under utilized by CRS/LAJF despite much enthusiasm, generosity and volunteer spirit. Is it possible to take this opportunity to truly come together to creatively use the material and non-material resources we collectively posses to offer the experience we so clearly value to the next seven generations? This is my desire for the ‘new dawn.’ Can we begin by agreeing on the goal and identifying the challenges? I can’t imagine that that this group of people cannot do more than we imagine in this moment, working together. Simply stated I have seen the impact CBS has had on my son, Matt Shaw. I do not possess the skills to write a compelling statement. I just wish to state that he is a better person for this world because of his attendance at the camp as well as his involvement in the camp beyond. He has a heart for the camp, it's purpose and the future youth to be changed by the experience of attending. Please reconsider selling the property. Thank you. Half a century later and I vividly recall what this hyper-urban NYC boy learned at Louise Falls, a seemingly insignificant spot on a creek just down from the main house. After sitting alone in silence there for dozens of hours my way of relating to everyone and everything, my whole being, mind and body and spirit, was forever changed. There is power in a place! There are filaments that connect many of us to camp and to each other that cannot be described alone as memory or nostalgia, and we would be remiss as a community to deny them. LAJF asked my daughter Sam to write about her recent two-week experience at Clinton. 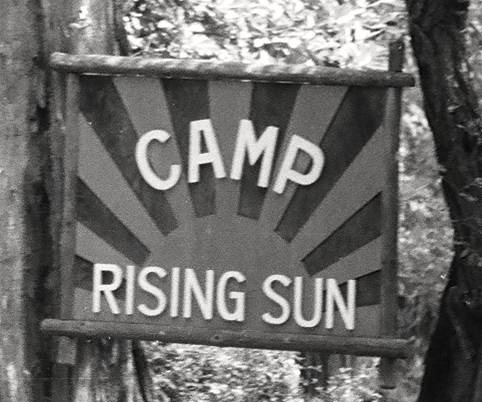 Throughout my childhood, my father would recall countless stories of his experience at Camp Rising Sun. Through him, he would give the impression that every moment at this camp gave him something that he couldn't find elsewhere. I remember attending a few reunions, experiencing an encrypted atmosphere that camp created that interested me. As soon as I became of age to take part in camp as a legacy camper for two weeks, I was easily persuaded by my father to attend. Not knowing what to expect, I came ready for anything. At this point in my life, many would consider me to be a passive, shy and timid girl afraid of her own shadow. With this personality, I walked into the main doors of the camp and was instantly overwhelmed by many kind faces eager to show me around and get to know me. Each and every moment I felt welcomed and accepted by girls all over the world whom I just met. My days at Rising Sun flew by and I never thought I would feel so comfortable with so many girls in such a short amount of time, not long after I developed a confidence that I never thought would be in my grasp. My participation in discussion increased dramatically and my ability to express my ideas became existent. I discovered new heights of being a leader. I was able to view the world through a different perspective. As if that wasn't enough, Camp provided me one of the most enjoyable two weeks I have ever spent. I’ve made strong friendships with girls that even millions of miles can’t break apart. Every day was enjoyable and my hours seemed to be filled with fun activities and unique experiences that never seemed to stop challenging me. Sam never had the opportunity to be a mess Sachem, a newspaper editor, attend Ghost Stone Council or participate in many other vital activities, but her visceral words not only share what an amazing experience she had but also made me reflect on my own 1981 camp season. Her limited yet remarkable experience reinforces that I have no doubt that Camp is as important as it has always been and that it must continue. Camp is facing extreme adversity and we need to work together to continue Freddie's work. I am not against selling the camps but only if it makes fiscal sense. If the sale price is reasonable and the new location is right (both price and place), then I would be willing to allow this decision. However, the idea of selling without any real price discovery on both the sale and purchase sides is dangerous, will lead to poor execution and put the foundation/camps into a deeper financial hole. In addition, I find it troubling that the cost of running Camp for $1.8 million per year is so high especially if more than half of these expenses goes to running LAJF. As a comparison, I researched several summer programs that are available to high school students. Johns Hopkins Center for Talented Youth - 3-week overnight program, $4000 averaging $1300 a week. Black Bear Overnight summer camp in Millstone NJ (family owned) - 8-week program $4000, averaging $500 a week. Camp Rising Sun - 7 week program - $1.8mm per year for 120 campers results in $15,000 per camper per season, averaging over $2,000 a week. which is breakeven! You can argue that the Johns Hopkins and Middlebury programs can leverage their resources, but both operate many programs outside of their respective University locations. However, it is difficult to defend our costs versus Black Bear Summer camp. In addition, I am also amazed that the Board recently announced that they are looking to cut expenses by a large portion of 30%. Has the Board been complacent in running Camp for years in terms of expenses? Why has it taken this long to realize this? Also, why has the fundraising effort been so passive? I have no problem making a donation to Camp but I hesitate to contribute because I do not have the confidence that the Board can be fiscally responsible or capable on both the expense and fundraising sides. In conclusion, Camp is at an inflection point and we need more people to help than ever. Every dollar we spend or waste will affect the quality of experience for current and future campers. 1. Total expenses should not exceed $1.2 million. Full transparency and breakout of all expenses. Limit use to endowment money to only the annual interest income. Use of endowment principal should be used sparingly and must lead to reducing expenses. 2. Fundraising is main purpose of the Executive Director. He is to annually raise at least two times his total compensation. A comprehension fundraising program should focus both outside endowment funds and alumni. Camp agents should be recruited for fundraising purposes. For example, two members of the my 1981 Camp will be responsible for contacting 1981 campers for donations. Target annual fundraising to $750,000 and grow each year. Encountering hostile neighbors and lots of "air traffic" (think rockets with warheads) The Israeli Knesset voted to sell the present land of Israel to the Saudi's Kuwaitis Abu Dabi and the Palestinians for umpteen Billion dollars and move to A new undeveloped site in Texas!! They reasoned: 1 They would have a financial nest egg. 2 They could take the Torah scrolls and the old testament and pray anywhere! 3 They had planted a lot of trees in Israel 80 years ago, With new technology they could grow more, bigger trees faster in Texas! 4 It would be much closer for relatives in NY City and Miami Beach to visit! etc I could go on but I am sure the sachems get the point! I am not necessarily opposed to the sale of the campsites if it is the best course of action for a sustainable Camp Rising Sun but believe strongly that the alumni voices need to be heard. I believe this as a good in itself to have the alumni community remain connected to the Camp, but also as a practical matter, going forward the financial support of alumni is necessary for the program to continue. I am ready to make a onetime pledge to save red hook. I am also ready to begin an annual pledge. I echo Chris - I look forward to an open, honest and constructive dialogue between the Alumni and Friends of Rising Sun and the LAJF Board of Directors. Years at camp: 1947, 1948, etc. I continue to echo that throwing money at the problem, won't make the problem go away. I look forward to a comprehensive strategy to ensure the CRS experience can remain available to future campers. I am signing for my father pete seeger. He was an alumni or former counselor, but I do not know what year. For too long we have constrained ourselves to a mission we can no longer afford. The camp property should not be sold. Our legacy of positive effect on the world should continue within the reality of our resources. There is plenty of good our foundation can do. I look forward to the future manifestation of a wonderful organization. The history and tradition of the whole message begins on that site. The essence of the spirit of CRS, for me at least, is found in those old buildings, hills and streams. I strongly feel it should be possible to continue the legacy without a move away. The camp experience is THE PLACE as much as it is the people. Just like NYC or other singularly special place that cannot be moved; NYC will never be NYC in Charlotte. The setting enhances the human experience. It will not be Camp Rising Sun once it gets sold. Full stop. I do believe the CRS spirit can continue to thrive in any physical environment, however, I would like more options to be explored, more transparency with decisions the BOD makes, and better accountability when it comes to executive staff spending LAJF funds. Thank you. An unacceptable plan and an even more unacceptable process. I will withhold all future giving after my current commitment ends. I believe my current commitment is an olive branch ($20 match for any one from my years) and helps the cause. I already pledge $500/year to CRS not including my employer match of 100%. My major concern is that since so much of fundraising is emotional, anything that reduces the emotional connection a potential alum-donor has impacts this source of funding. This is a beloved land full of history, stories, laughter and love. Having spent so much time there, it truly is a home away from home for me. I do not accept that selling Red Hook in such haste is the only option we have! The Board of Director's lack of consideration of the larger community of CRS alums and friends in this matter is unconscionable and makes me think the majority of them missed the message of CRS to begin with. The Board of Directors needs an overhaul as badly as they say the campuses do. Let's replace them first, before we sell our historical locations. I do not believe that Freddie created camp for the campers, I believe that he created camp for the alumni the campers would become. Likewise, I believe the practice that the boys must carry their beds, mattresses, bedding, and luggage to their tent on the first day is an inseparably integral component of the camp experience. So, too, are the less than stellar conditions of the buildings and facilities. It is in understanding why such components of the camp experience are deeply important that we can begin the dialogue about what camp needs or doesn't need. Camp Rising Sun is setting while a New Dawn rises. This may be inevitable, it may even be necessary. Change is hard, but unavoidable, as Life tries to teach us every day. If we don't understand what is behind the amazing and powerful und undeniably life changing experience that camp has given each of us, then we cannot adequately create the same experience for future generations. If we lose sight of the vision behind why camp was created, then we disrespect and insult the incredible gift we each were given in those summers on the hill. Let's take this time given, whatever the intent behind it, to have discussions that focus first on what makes Rising Sun powerful and unique. Let's begin by exploring the seemingly mundane and arbitrary parts that are actually integral to the whole. When we get that, then the path will be laid out before us. Again, I do not think Freddie's focus was camp. In fact, I think his great generosity in the gift he gave each of us is much broader and more far reaching. He wanted to change the world. And all he did was run a summer camp. All he did was run a summer camp. Think about the extraordinary power in that statement. I'm truly outraged that it came down to this decision to sell the camps in NY. There are many camps in NY state that are still working to this day. I find it hard to believe that not enough funding has been found. I know that legislation is out there to preserve land in NY that offer tax benefits and if I remember correctly there is a good chunk of land that have no buildings on them. On a side note: 175,000 dollars a year for a base salary at a nonprofit! Sign me up, especially if it was higher than that before! I'll quit my job right now and jump in. My father owns his own business in NY and only makes a quarter more than that and he works about 24/7 at it. As for the cost of the office that is a really cheap price for Manhattan. But have you looked outside of Manhattan for office space because that is even cheaper. Also in looking at the filings was 93,000 really spent on investment management fees? Is this not high? I don't know if it is but the number just jumped out at me. Especially compared to other expenses like food&kitchen 75,000 or insurance 130,000. Another question that came to mind was why would there be 43,000 spent on Conferences and conventions as well as Alumni Affairs with 39,000. I can pick out a few expenses within these categories the come to mind but nothing that particularly adds up. I look forward to reading about the cost saving measures that will be occurring. Such a drastic decision should been proceeded by substantial warning that such steps were under consideration. I would also like a better (detailed) description of the financial situation which makes this necessary. Place matters and it clearly matters to many of us alumni. Therefore to sell land is to uproot camp alienates us stakeholders. Such an opportunity: I love the reaction within my own heart and that of so many CRS alums responding to the news. The Board was seemingly faced with an impossible task; extreme solution proposed and now faced with extinction, the collective rises to raise their voiced. Next step is to raise some serious money. (Similar to ignoring our planet's carbon predicament. Oh it's serious? Hard to get that message across) How many more people are out there that want to follow in Freddie's footsteps and leave endowments? I've never given any money, not a dime, and despite current limited funds, rather than ignoring the request, I am committing to a small annual contribution. Let the pledge drive begin. How How to everyone involved. Big changes are certainly in process to preserve camp; to do so we must preserve the properties. History lives in the soil and in the structures and in the hearts and minds of all of us that experienced camp. Certain things including length of a camp season should not be altered. Yes sure camps can be 4 weeks and could be held at new location in a different state but that is not CRS and that would bring an end to our tribal lineage. That I do not support nor any of the undersigned. Shining love and light on this issue will bring about a different outcome. It already has. But how brave this board has been to suggest such an unthinkable course of action. Extreme times require that we change our conditioned responses. This petition reflects the energy of the unconscious camper within all of us. Mobilizing this force we can rekindle the fire and be sure that camp lives on for generations to come. Much work ahead. May we all find it in ourselves to contribute to save the commons. To save an important legacy. And to enrich ourselves and others through the process. As former board member of both LAJF and GEJF and as mother of two campers, I have witnessed wonderful things and also much angst about keeping the program alive due to fund raising shortcomings, most of all. I like the creative idea of a full time boys camp at Red Hook for this coming season along with a full season at Stendis for girls. At this point in time I realize that would be tricky, but it would do much to energize the worldwide alumni associations and keep the program not just alive but thriving while we sort this out. I was blindsided by the emails that dropped into my inbox from LAJF. I attended a few board meetings a few years ago and it was not communicated that the finances were this dire. More discussion is needed before such drastic actions are taken. FWIW, I fell off the donation bandwagon when building my house and funds were reprioritized, so I dropped a $1000 check in the mail to LAJF this AM. In my mind, the camp location should be a given, not a variable. All further discussion should accommodate it. If the camp moves, my visceral connection to it will be gone. It will be difficult for me to connect with the new entity at a personal level. Although I am not a huge contributor, I generally give regular yearly donations to CRS. These donations are a result of my belief in the value that the camp experience provides, my understanding that camp resources were being properly managed, and my personal connection to the camp experience. This connection would be lost if the Red Hook location was sold. I am also disturbed that the financial condition of the foundation has become poor enough to warrant the sale and question the high overhead costs. I would suggest continuing to improve the CRS experience in situ and look to the administrative side for cost savings. I'll be out there fundraising for LAJF but am also disappointed in the lack of real communication between the board and the alumni on an issue that strikes so close to the heart. To me, relocating CRS would be like uprooting a tree. The idea and ideals of CRS can be pursued anywhere, of course, but selling off the existing properties without longer and deeper participation of the alumni/ae seems to me to damage the collaborative and cooperative spirit that has long been at the heart of Freddie's purpose and legacy. We lose a lot if we lose the sense of place that many of of us carry with us as part of the CRS experience and purpose. I am deeply disappointed and concerned at the extremely elevated overhead level. The camp should definitely stay where it has been since Freddie established it; on the the other hand, the LAJF could easily be moved to a much cheaper location. I was very moved by the thoughtful comments here. I completely agree that corporatism appears to be crowding out camp philosophy. The CRS Web site is full of phrases like "professional consultants," "endowment performance," and my personal favorite, "lower regulatory burden." It's difficult to picture Freddie talking this way. If he had, he might have stayed in the hat business. I thank you all for lifting me out of the funk I got into when I first heard of the planned sales. I say fold our tents and call it a successful entrepreneurial project. A new visionary is needed to replace George Jonas. All the data bases, surveys, measurements, opinions that have been floated to try to replace him do not work. Too many egos involved. I appreciate the Boards hard work in trying to map out feasible solutions to the challenges ahead; I respect their courage in making the bold decision of selling both campuses; and I value their choice of putting things at hold for six months. I have, nevertheless, chosen to sign this petition, because I fear that we face the risk of losing the alumni/ae unless it can be demonstrated that a true and meaningful debate is ongoing, and because I fear that choosing the road of four-week seasons, even as an temporary measure, is too slippery a slope, as temporary measures only too often become permanent. When arguing that the CRS has seen different lengths of seasons, one must take into account the changes in the numbers of campers and other, even external, factors which have changed over time. For the future, I would like to see the option of re-opening CRS Europe in Stendis properly re-examined again. In Tata, Hungary, we were told by the Board representatives that the LAJF cannot support the GEJF due to legal constraints. Recently, another Board representative apparently (based on the transcript of the recent phone conference) said that the reasons for considering that option are not legal at all. Clearly, the issue has not been given adequate attention. Here the best-case scenario is that re-opening Stendis would allow us to operate both the girls’ camp and the boys’ camp at the same time, as long as there is no campus in North America which can accommodate both for a 7–8 week season. As has been repeatedly stated, operating a camp in Denmark is significantly cheaper than in the USA. Furthermore, I challenge the view that the goal must be to offer the CRS experience to as many young people as we can. While that is a laudable ideal, it must not be thrived at the expense of the program. I believe many experienced staff members would agree with me in this: a seven-week camp should have closer to 50 than 60 campers (and if we are even to consider a four-week option, the numbers should then be cut drastically). Finally, I make the point of not making any financial pledges. If my opinion is considered insignificant because of this, so be it. The Camp I went to, and to which I have dedicated so much of my time, was not about dollars. I live by the Fork in the Road, between both camps, have been a camper and a staff member at Rising Sun. I will continue serving on the Program Committee and donating my time in other ways as we work through this together. Instead of selling the camp sites, we need to consider how CRS could be a leader in sustainable and eco-friendly summer camp experience, which is at the core of its mission of bettering the world we're living in for us and for others who come in the future. I am positive that among our alumni there are many who could contribute their expertise from sustainable and environmental engineering, nutrition, architecture, and education, to design a plan of action. I am happy to be part of this as well. SELLING THE RED HOOK SITE IS A COMPLETE AND UTTER MISTAKE. IT IS THE ORIGIN POINT OF THE CRS IDEA AND WE SHOULD HONOR AND SUSTAIN IT. SEVERING CAMPS CONNECTION TO ITS HISTORY WILL ULTIMATELY DILUTE ITS VISION AND MESSAGE. I'll give as much as I can back to CRS and the Foundation, monetarily and by volunteering. In addition to all the options being considered, perhaps we can use alumni as a resource to restore the camps. I would be more than happy to commit to working at the camps on weekends in a similar fashion to Habitat for Humanity. If we were to get enough volunteer laborers from the region, whether skilled in different aspects of construction or not, I am sure we could both reduce costs considerably and save both sites. We should all go into the woods like Freddie and Henry David Thoreau to find the answers to these problems together. The answers are not in a board room or an office in the city. They are around a Council fire, on Tent Hill, and in the water of the Saw Kill. There is so much talent and passion in the alumni body. We need to use the valuable human resources we have available ensure many more generations of young people have the chance to go into the woods, unplug, and experience life at its core. We can not do that by ignoring voices of dissent. If both campuses end up being sold, Im completely against having a co-ed or a co-located campus since it will change the true essence of CRS and it will (most likely) change CRS into every other american camp. I'm not attached to the camp being in NY, in fact I see advantages to moving it. Rather, I am signing this petition because I am not comfortable with the way in which the decision was reached. We need more input form alumni and transparency. I would rather see one camp (alternating for boys and girls) run for 8 weeks then to offer a 4 week program. Lets work collaboratively to find the least painful way to maintain our programs and sustain CRS for the next 100 years. I am looking forward to further and more inclusive discussion with a strong focus on considering alternatives that minimize disruption to the traditional and hi istoric camp site. However I will continue my donations irrespective of the final decisions. CRS is an inportant part of mylife. I would hate to see the camp sold. I want to see that the Board act with great Fiscal Responsibility and Prudence. Importantly, I want to see a rigorous re-enstatement of the rule whereby no more than 5.5% of the 3-year rolling average can be withdrawn from the Endowment any given fiscal year. I also want to see that the reckless overspending at the Foundation level is cut at least by half, and that the overall budget is reduced from the current level of $1.8MM to less than $1.2MM. This is eminently achievable, I know this for a fact, as I was on the Board as Treasure and Chair of the Finance & Investment Committee for 9 years from 1993 to 2002. I am concerned about the overall finanacial well being of the foundation but even more concerned about our lack of vision for the future. I would appreciate a detailed plan of what the Board is looking to do going forward. We have 85 years of history that had simple beginnings in Red Hook and eventually expanded to Clinton and then oversees. It appears to me that when things get tough and our answer is to abandon our roots and fold up shop? When the cost of business rises in the "New State" will we pick up and move again? I am not prepared to support that now or ever. Our mission has always been to expand and grow Freddy's vision. It is time to have serious and meaningful discussion with our very intellegent and talented alum, family and friends of CRS. I honestly believe that selling the properties will only prolong camp a few more years and we will end up back in this position down the road. I would like more discussion pertaining to cost reduction from LAJF and CRS campuses, and possibly taking a hiatus from camp seasons in the dire time. I look forward to the open dialogue and continued alumni involvement pertaining to this deeply personal crisis. I look forward to an open, honest dialogue between the Alumni and Friends of Rising Sun and the LAJF Board of Directors. The overhead ratio is ridiculous. We need more transparency regarding the costs and the decision making process. I wonder if the Board has fully explored all the other options and fully considered all the arguments and counter-arguments, before it decides to sell the campuses. To me, tradition and heritage should decide that moving be reserved as the very last choice. I'm not sure that's the case for now. I try to remind myself that all things change, but I never thought we would dream of abandoning The Old House, Tent Hill, the banks of the winding Sawkill, or the Council Ring. The Board has seemed of touch for a while now. We went from quarterly pamphlets for the Sundial to a 30 page glossy with 8+ pages dedicated to finances and fund raising. I can't help but feel like we've left our humble beginnings and tried to cater to the 1%. I hope the magic is still alive for 8 weeks each summer. This alchemy can't be quantified or put into a glossy booklet. May this crisis bind us and make us stronger. 5000 [alumni] * $100 = $500 000 But any fundrising initiative should be supported by clear message what needs to be build up/repaired and why. I commend JC and the other sponsors of this petition for their efforts. I was shocked to learn, without any prior indications, of the possible sale of the Red Hook and Clnton properties. The seemingly ill-considered decision to sell the historic property appears desperate and hasty. While the short-term survival of CRS hinges on finances, the long-term survival of what CRS is really about will be threatened by a quick sale of the original property. I worry that the original goals, ideals, and passion of CRS as conceived by its founder have been squandered against financial challenges. Challenges that should have compelled the board to focus even more on finding creative solutions to preserve CRS' core foundation of the historic site - which holds the DNA of what makes CRS so enduring and special. To that, it appears as if the foundation was simply managed poorly in recent years, despite the investment market downturn of a few years ago. Currently, successful non-profits keep overhead down to less than 25% of total budget. How is it that LJF overhead surpassed 50%? Flawed fund-raising strategy? Anemic outreach efforts? Lack of substantive media or communication strategy? Uninspired leverage of alumni resources? With the sudden news of this financial crisis, alumni should be informed of what the strategic plan really was and how well it was followed by the board. My question to the board and foundation leadership is: What did you envision of CRS today, 5-10 years ago? And to both alumni and the board: What do we envision of CRS 5-10 years from now? For me, as echoed by others on this petition, CRS should never relinquish its historic site, which is unique and especially well-suited to the ideals, history, and nature of CRS. That will demand aggressive fund-raising beyond the alumni base, fueled by a communications campaign that can be social-media driven, hinged to firm strategic goals. Even if we have to cancel one-two runnings of camp to re-arm, so be it, as long as the historic site is not sacrificed and a firm date of camp resumption is adhered to. The approach adopted by the Board is absolutely not the vision and direction that Freddie would have endorsed! I think we are on a good course. I am hopeful that the Board is not just using the announced six months moratorium of the sale as a stalling tactic. This is a difficult time and we all need to work together to save our Camps and Foundation. I am appalled by the cost of running the camp. I was aware that there was one full time director, but I was under the impression that other functions were largely or wholly on a voluntary basis. The overhead cost needs to be slashed. A director and other executives who are paid commercial fees have no place in a not for profit organization. The entire board should resign and a new board, more in line with the idealistic character of CRS, should be put in its place. I agree with Mr. Mathes: The corporate "take-over" mentality of CRS will be its final destruction. Without tradition and heritage, CRS is just another summer camp. The corporate "take-over" mentality of CRS will be its final destruction. Without tradition and heritage, CRS is just another summer camp. Governance has always been a problem. This is one of the results of a bad governance system. This current problem will not really be fixed until the governance is changed as well. In the meanwhile the current BOD should reinstate (or so offer) all who have resigned or been fired during this firestorm. I strongly support your petition. My first reflection upon reading the announcement that the historic camp grounds would be sold was that this was nothing more than one more step towards final closure of the camp. Behind the proposal to sell the camp grounds I perceive a failure to understand the importance of tradition. The CRS idea simply cannot be transplanted to a new location.